Science is an American digital cable and satellite television network that is owned by Discovery Communications. The channel features programming focusing on the fields of wilderness survival, ufology, manufacturing, construction, technology, space, prehistory and animal science. n November 1994, Discovery Networks announced plans to create four digital channels set to launch in 1996. Discovery originally named the network under the working title Quark! ; this was changed before its launch to the Discovery Science Network. Discovery Science launched in October 1996 as part of the simultaneous rollout of the new channel suite (alongside Discovery Home & Leisure, Discovery Kids and Discovery Health Channel). The channel underwent various rebrandings throughout its history. Its name was first modified to the Discovery Science Channel in 1998, and then was renamed The Science Channel in 2002, as the first network in the Discovery Networks digital suite to drop the "Discovery" brand from its name (however, international versions of the channel continue to use the "Discovery Science" name). 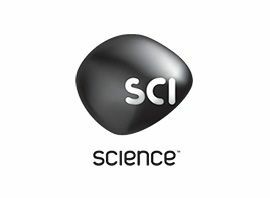 The channel later shortened its name to just Science Channel in 2007 as part of a rebrand that included the introduction of a new logo based on the periodic table; in 2011, the network rebranded as simply Science, introducing a new logo and graphics package designed by Imaginary Forces. Science HD is a high definition simulcast of Science that broadcasts in the 1080i resolution format; it was launched on September 1, 2007, along with Discovery Channel HD, TLC HD and Animal Planet HD. International versions of Science currently exist in South East Asia, Europe, United Kingdom, Italy, India, Sweden, Canada, Latin America and Australia; unlike the U.S. service, the international channels are branded under the Discovery Science name. Science broadcasts a number of science-related television series originally produced by or aired on Discovery Channel, such as Beyond Tomorrow, among others. Discovery Communications has also produced a few programs specifically for Science, such as MegaScience and What The Ancients Knew. Programs from other Discovery Networks channels, PBS and the BBC are either regularly or occasionally aired on the network. Television series produced in the 1990s, such as Discover Magazine and Understanding, are carried on the network´s weekday schedule. Science also broadcasts programs such as Moments of Impact and An Idiot Abroad. The channel has experienced some drifting from its intended format throughout its existence, increasingly adding reruns on several science fiction series such as Firefly and Fringe to its schedule in recent years.